Although India is steadily climbing the global charts in terms of industrialisation, being a digital economy, trade relations and more- education is a sector where the country still lags behind. Although the education system has undergone significant changes in the urban areas, rural India still faces critical issues which have led to many girl children dropping out of school or being denied education from an early age. Poverty, backward traditions, improper sanitation methods, access to basic amenities and more are the leading factors. As of 2015, 3.7 million girls had no primary education in the villages of India. In an effort to support “saving the girl child”, IFIM Business school in association with CRY and its SAFE cell ( Students against Female Exploitation) organises an annual “Kanyathon”- a marathon dedicated to raising awareness and funds to support the girls and women of India. 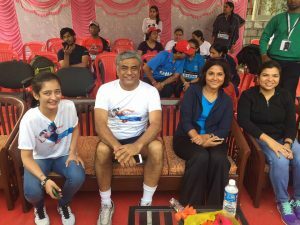 Since 2011, the marathon has seen over 4000 participants – from the Bengaluru FC Football team to the Police Department to even celebrities/dignitaries such as Rajiv Gowda and Akshara Hassan. 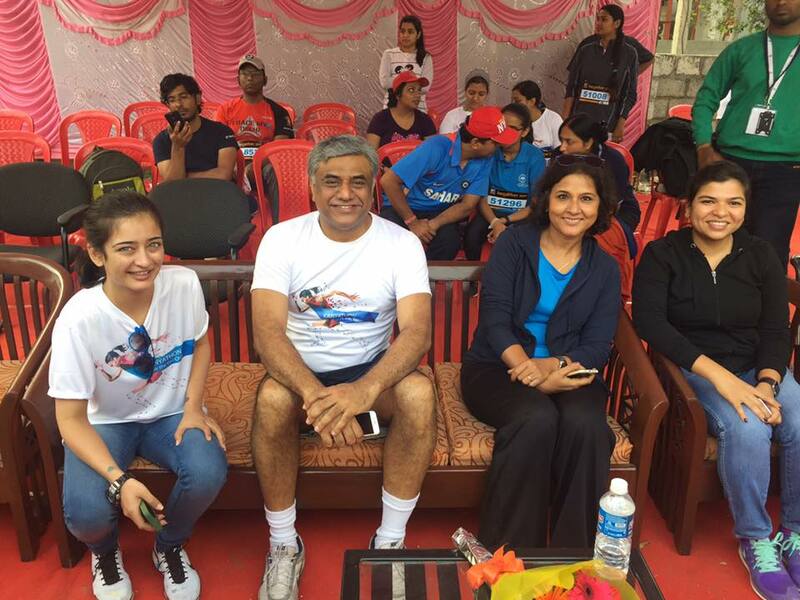 L-R: Ms Akshara Hassan, Hon’ble MP Rajeev Gowda, Ms Vinita Sood, Dr Priya Bhansal. IFIM Business School firmly believes that there is an urgent need to change the clichéd mindset of the patriarchal society which thinks of girls/women as just a liability and not a strong force. Every year the marathon sees participation from students and working professionals alike. This annual event is meant to raise funds to eradicate social cancers such as female foeticide, rapes, child marriages and untoward traditions which are choking women with the claws of ignorance. All proceeds are donated to one of India’s leading NGOs, CRY in order to empower all women and generate respect towards them. Kanyathon will enter it’s 7th iteration this year with a 5k and 10k charity run with a solid aim to promote women empowerment and bring light to the unjust exploitation of the girl child. Join us to run for the girl child’s education and to empower women. This entry was posted in Featured on February 10, 2018 by IFIM Institute.